Assassin’s Creed Odyssey will take the long-running series in an entirely new direction. The gameplay centers on RPG mechanics, players choose their avatar, and player choice is being introduced. Interestingly, an all new trailer for the upcoming release places the freedom to choose front and center. Not much of the short trailer actually shows how player choices work. Rather, Alexios’ and Kassandra’s narration informs us of how decision-making impacts the overarching storyline. The main takeaway is that each player’s adventure will be unique. 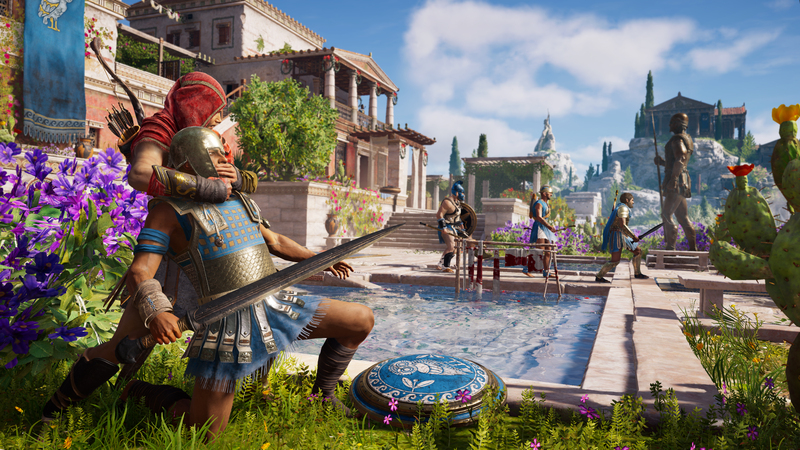 What Assassin’s Creed Odyssey presents is a far cry from dropping into the pristine white robes of Ezio or Edward Kenway’s pirate-inspired garb. Those stories belonged to them; as an audience, we were merely tagging along. This time, the story belongs to us. That’s what the above trailer insists, at least. Also worthy of note is the narration about there being “no wrong decision.” This, as well as the “no wrong paths” line, mirrors the franchise’s “Nothing is True, Everything is Permitted” tagline. Yet, the nuances of such statements hold more truth for Odyssey than they have in previous entries. Will an Assassin’s Creed game truly explore choices that exceed binary decisions typical of most RPGs? According to developers from Ubisoft Quebec, that’s the plan. Because this entry isn’t based on the creed of the Assassin’s Order, Ubisoft Quebec ventured into the morally gray territory that The Witcher series resides in. We’ll know how well the developer fared on this front in a few weeks time. Assassin’s Creed Odyssey release this fall on October 5, 2018.